Posted on April 4, 2017 at 10:23 pm. More good news from the west coast. 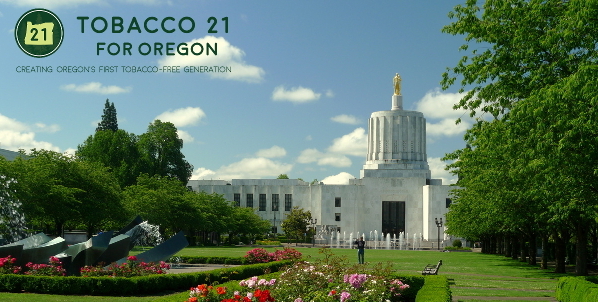 Oregon’s Tobacco 21 effort is moving forward with great bi-partisan support as well as support from multiple news outlets. This week, the Portland Tribune, one of Oregon’s premier news sources, has come out in support of enacting a minimum legal sales age increase.The Portland Tribune is just one of a multitude of supporting organizations from around the state. Read more about their support at the link in the bottom of this post. The Tobacco 21 for Oregon Coalition is made up of over 30 partner organizations, all working towards the common goal of advancing the opportunity for good health in Oregon’s youth. Check out the coalition’s Facebook page (here) and fact sheet (here). Posted on March 30, 2017 at 9:31 pm. The Campaign for Tobacco Free Kids is showing their leadership, once again in the professional baseball arena. 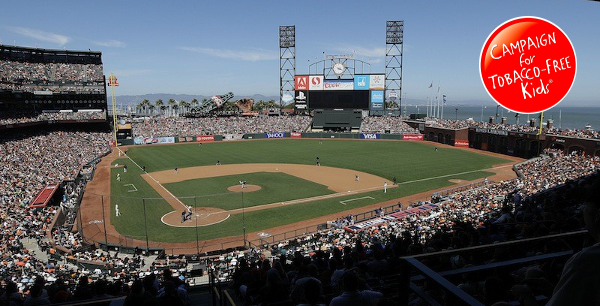 Following their involvement in removing tobacco from the San Francisco Giants stadium in 2015 and other successes in the 2016 season, at the beginning of the 2017 season, there will now be 14 out of 30 MLB stadiums that have gone tobacco free. While speaking with Kevin O’Flaherty at the National Conference on Tobacco or Health, he seemed optimistic of their progress within the League and the reason they are so dedicated to removing tobacco from professional baseball. Youth participating in sports are influenced by their sport’s professional athletes. When young players see widespread tobacco use among their idols, it is only logical to know that they are at an elevated risk of picking up the habit. Check out the link below for more from the Campaign for Tobacco Free Kids. Posted on March 21, 2017 at 9:02 pm. In 2014, CVS was the first national pharmacy chain in the country to stop selling tobacco products other than FDA approved cessation devices. In the years following, they commissioned an internal evaluation of their efforts on the smoking rates of their customers and in other food, convenience, and big box stores, as well as gas stations. What they found was removing tobacco from their stores spurred some tobacco users to quit. 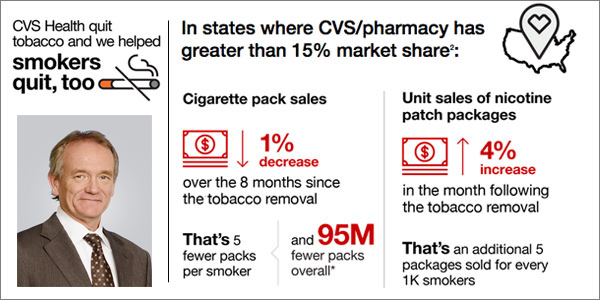 The CVS Health Institute Study showed that in states in which CVS enjoys a greater than 15% market share for retail pharmacies, there was a 1% decrease in cigarette purchases across all tobacco retailers. Among other reinforcing statistics, customers who solely bought their tobacco at CVS were 38% more likely to quit smoking than other customers. This strong move by CVS pharmacies shows their dedication to public health as a corporation. We commend CVS on their leadership and urge other national retail pharmacy chains (e.g. Walgreens, RiteAid, etc.) to follow in their footsteps. Check out the link below for the Reuters article and link to the original study. Posted on March 16, 2017 at 10:11 pm. 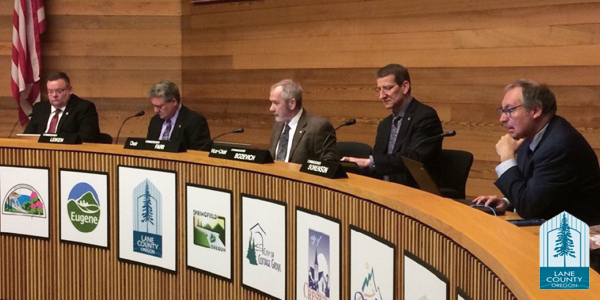 Lane County, the home of the University of Oregon, became the first city in Oregon to pass a tobacco 21 ordinance. The ordinance covers all areas in the county, both incorporated and unincorporated, as an act of the Board of Health. The effort was originally started by Commissioner Jay Bozievich, who has been a driving force behind Lane County’s effort as well as a supporter of the statewide effort to raise the minimum legal sales age (MLSA) to 21. Unfortunately, Commissioner Bozievich voted “no” for the new ordinance, as it did not include a clause to grandfather current 18 year olds already smoking into the new law, allowing them to continue to buy tobacco products. While his intent behind grandfathering was well-meaning, to aid those already addicted, there are ways to reach this same goal without continuing the supply line of tobacco products into high schools. Offering FDA approved cessation services through the county health department, using the quit line, and writing a 6-8 month implementation date lead-up are only a few of the ways to assist those already addicted toward quitting tobacco products completely. We thank Commissioner Bozievich, Lane County Board of Health, and the Lane County Health & Human Services for their action to protect children from a lifetime of addiction in Oregon. Posted on March 8, 2017 at 10:25 pm. Guam’s Speaker of the Legislature, Senator Ben Cruz, has been a supporter of tobacco 21 in Guam for the past three years. His work shows dedication to protecting the youth in Guam from the dangers of tobacco use. In 2016, his bill passed the legislature, but was then left on the governor’s desk to remain unsigned. 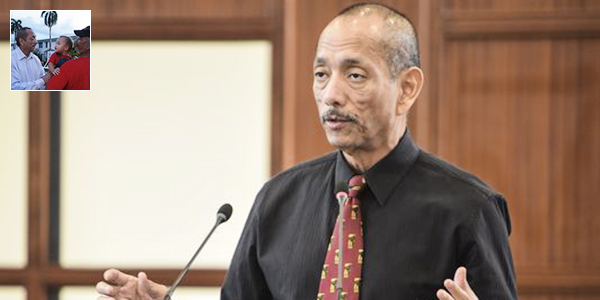 This year, it seems like the momentum for tobacco 21 has finally swung around to Guam, with a 15-0 vote in the legislature to pass the minimum legal sales age increase, it will be hard for the governor to deny this pressing issue again. Many thanks to Senator Cruz for his dedication to public health and promoting the healthy lives of his constituents.